Made from top quality cast iron, coated in tough, chip-resistant enamel. Enameled cast iron is a compound of carbon-enriched iron with an enamel coating consisting mainly made of glass. It is one of the most efficient materials for retaining heat, transferring it slowly and distributing it absolutely evenly. 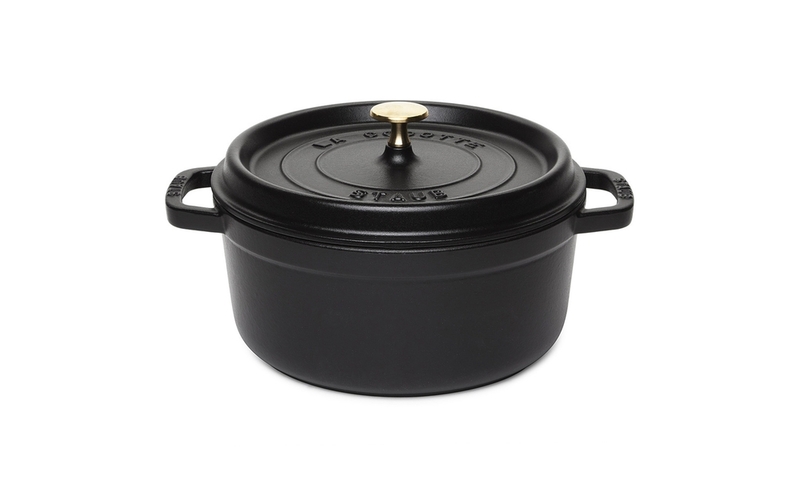 The Cocotte from Staub has an under-lid drop structure which ensures that condensed water formed during the cooking process is consistently basted over the dish being cooked. Can be used on all stovetops including induction.